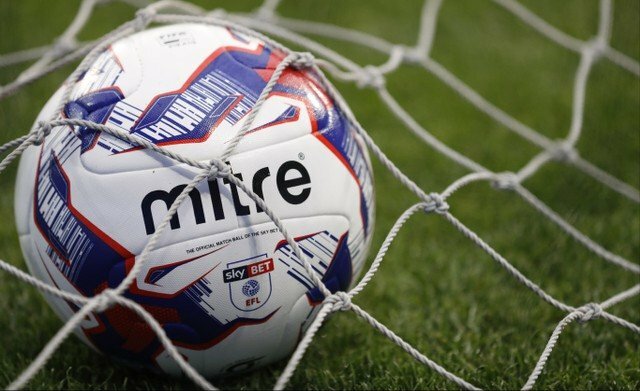 Rotherham United and Millwall played out a goalless draw at The Den this afternoon which frankly neither should have won but, then again, neither should have lost. Despite a lacklustre first half from both sides there were chances in those first forty-five minutes, the first one for the hosts coming only two minutes in when Michael Ihiekwe headed out a dangerous cross from Jed Wallace which then fell to Ben Marshall who shot just inches over the crossbar in front of the travelling fans. Semi Ajayi came into his own firstly getting the better of Ben Thompson before being in the right place at the right time to block a shot from Jed Wallace. Some good work from Matt Crooks, starting his first game since joining from Northampton early in January, sent a superb ball to Will Vaulks whose shot from some thirty yards out was put behind for a corner which was also deflected behind for a second corner which Clark Robertson got a good header too but the Millwall defence got it away. After a couple of corners Millwall had a good chance to take the lead on twenty minutes with Jake Cooper rising high but headed wide from inside the area. At the other end Michael Smith nodded down for Jerry Yates who in turn sent Joe Mattock on a run with his cross-come-shot being scrambled away to safety. Ihiekwe came to Smith’s aid after his poor pass fellow to a Millwall player with the central defender shepherding the ball out for a goal kick. The Millers had a chance just after the half-hour mark when a Mattock corner found the head of Robertson but he headed straight into the arms of Lions’ ‘keeper Jordan Archer before the Scotsman was busy at the other end getting in a good challenge on Jed Wallace as he was about to shoot at goal. A shot from Mahlon Romeo was an easy save for Marek Rodak in the Millers goal followed by a yellow card for Robertson for a foul on Lee Gregory. The last action of the half saw a free-kick for the visitors with Archer claiming the ball from Mattock. The second half began just as slowly with the only action in the first minutes being referee Andy Madley having to have words with Millers skipper Richard Wood and Lee Gregory of Millwall. A long throw from Will Vaulks found Semi Ajayi who first tried to head the ball into the area before it came back to him only for his cracker of a shot to go just over the crossbar. Minutes later the visitors had a real chance to go in front after Vaulks sent Michael Smith on his way with the tall forward making his way past a couple of defenders and finding himself one-on-one with ‘keeper Jordan Archer couldn’t keep the ball down and Archer managed to get a hand to it to put the ball safe. With the Millers still on the ascendancy Archer came out too far it was left to Ben Marshall to clear off the line. The ‘keeper went for the ball again as Wood also went in for it ending with Wood on top of Archer with Jerry Yates joining in the melee all fists blaring which caused a brawl and a lot of shoving and pushing ending with Woods being yellow carded for a bad foul. Just after the hour mark a good free-kick in from Mattock saw Rotherham bodies climbing to head with it going out and minutes later Semi Ajayi tried his luck from just inside the box but his shot was put behind for a corner. Then Mahlon Romeo put his ‘keeper in all sorts of trouble with a poor back pass with Smith moving in only to see his shot sent behind for another corner which Mattock took towards Wood but the Millers skipper couldn’t quite get to it. The first substitution of the day came on sixty-four minutes when Steve Morison replaced Ben Thompson for the hosts followed by Jerry Yates making way for Kyle Vassell for the Millers. Some good work from Vaulks sent Ajayi down the pitch who passed it to Mattock who saw the ball flash across goal and out of danger. With ten minutes of the ninety to go a lovely ball in from Marshall saw Clark Robertson stoop low to clear the danger which went just inches past his own upright. A poor challenge on Ryan Leonard gained Matt Crooks a yellow card. A superb cross from Jed Wallace found Marshall who headed just wide with Marek Rodak rooted to the spot followed by Crooks being replaced by Richie Towell and Vassell being shown yellow for falling over. Well into the five minutes of added on time the hosts should have scored when a long throw from Vaulks was intercepted and the Lions charged up the pitch and when Jed Wallace’s ball found Lee Gregory all on his own Ajayi seemed to put him off and what should have been the easiest goal in the world to score ended up with the ball going wide and the four hundred and sixty Millers fans breathing a sigh of relief. It was a long journey to sit freezing out bits off in what looked like it was going to be a drab affair but it did liven up a little in the second half and, as I said at the start, this result was probably what both sides deserved.